I decided to make the dress short sleeved and to make it a little shorter. 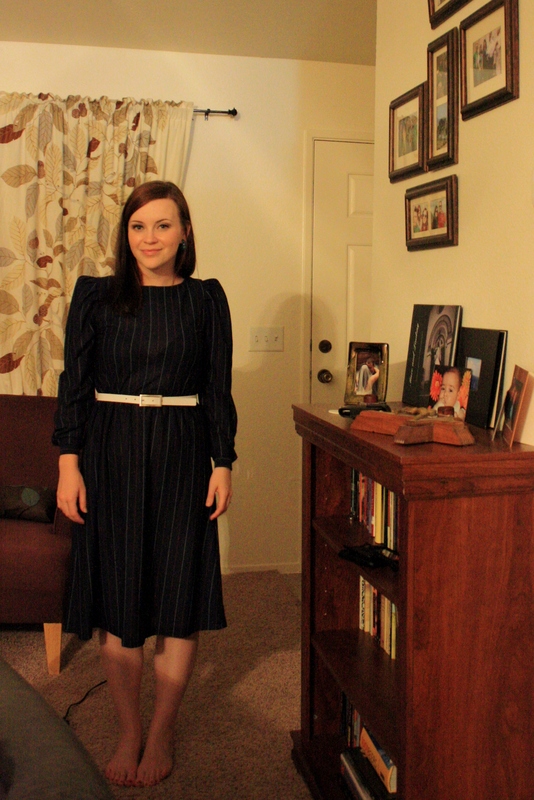 I hemmed the bottom of the dress (twice, because the first time I did it a bit wonky). I even made a sash out of the extra fabric from the bottom of the dress to use as a belt. But it was missing something. Should I add ruffles? A fabric flower? Finally, it came to me: make a bow! 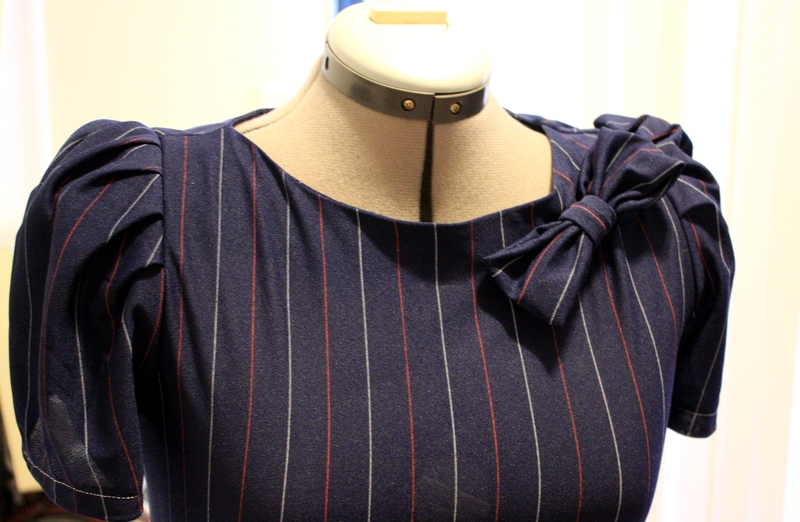 I took extra fabric from the sleeves and made a bow using this tutorial. It was pretty easy – it actually didn’t take as long as making a fabric flower which was my original plan. Now I just need to find a slip that will work with this dress because my white one doesn’t cut it! Love the refashion! I wonder the same thing about vintage dresses. Apparently slips were easy to find & super cheap back then. I’ve collected a few slips from vintage shops & thrift stores with great success. Even the “expensive” vintage shops will still sell slips for less than what you’d see at Dillards or other dept. stores. Hi Melissa – I definitely need to collect a few slips! I have two red dresses I love that I need to find a slip for and I just keep putting it off or forgetting about it. Love your blog, btw!